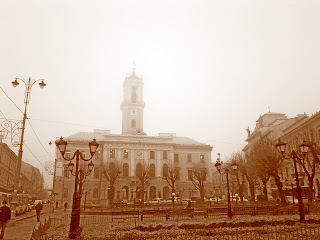 I got this shot of the town hall in fog a few weeks ago, during our anual November fog-fest! lol It seems like everyday iin November is super foggy every year. I love it though..